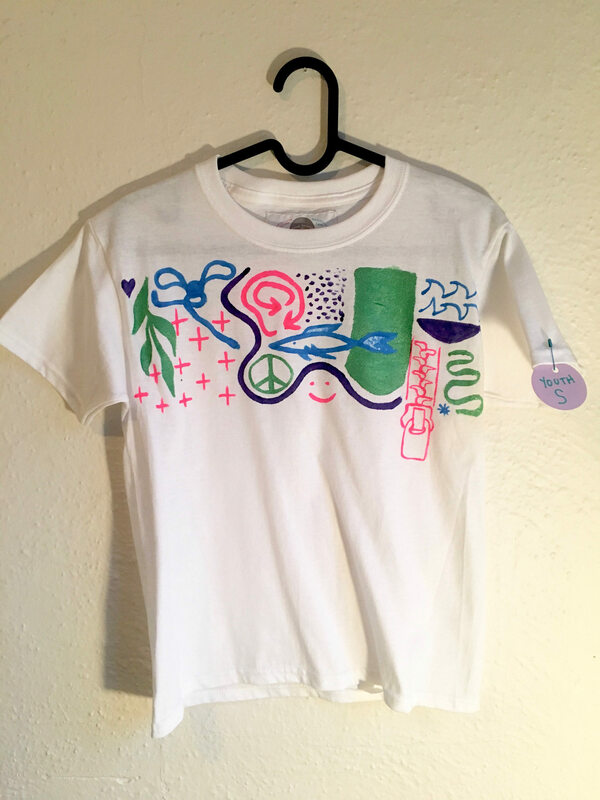 This listing is for one hand painted white cotton t-shirt, in a youth size S (small). 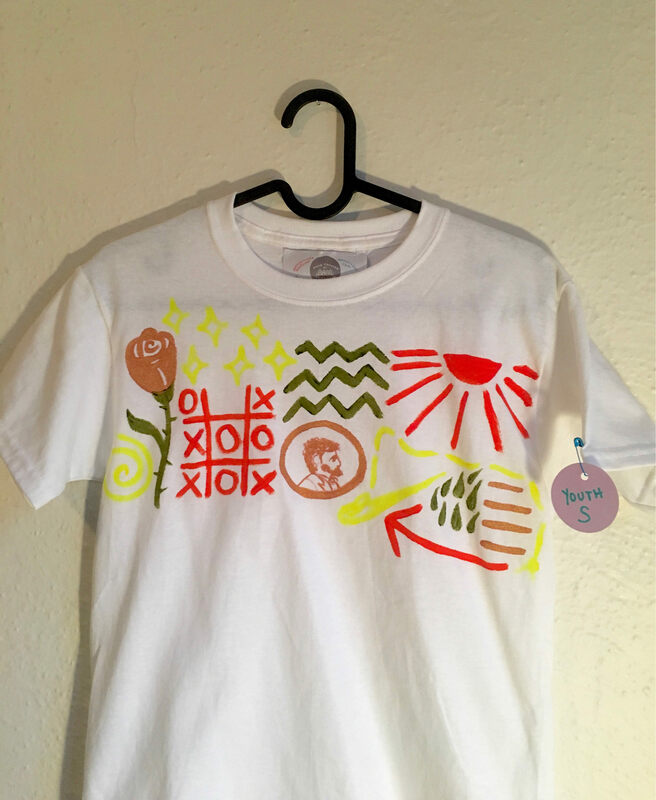 It is a one of a kind art piece that was painted with fabric paint, which means it is machine washable and fade proof! 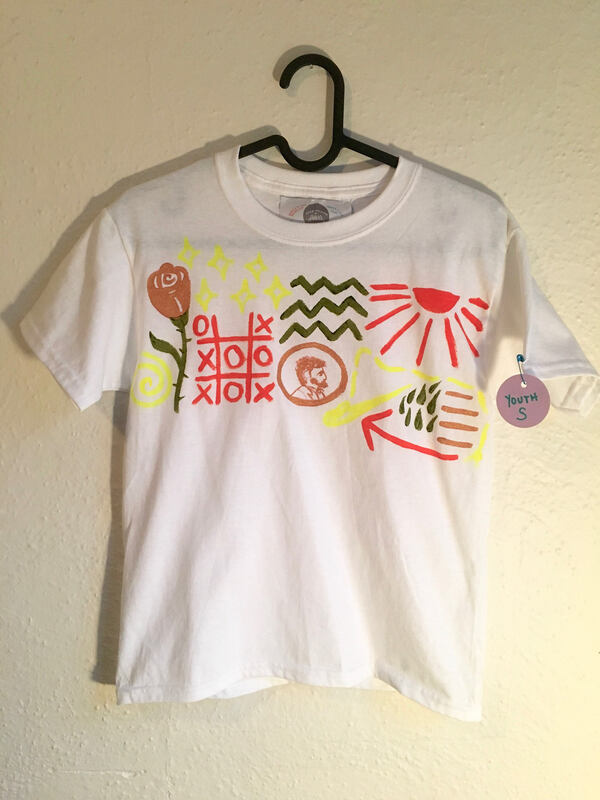 Depending on what is in stock, you can choose between two different shirts, as seen in the listing photos. 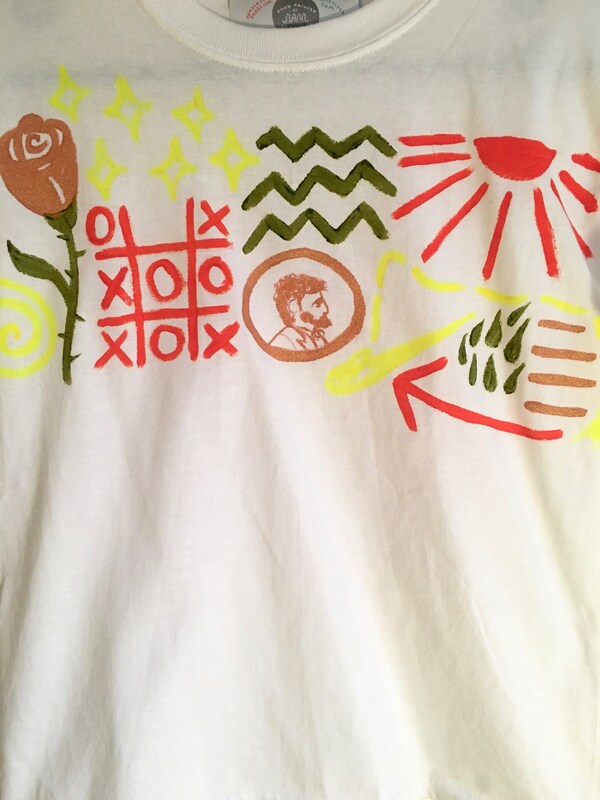 The first is a more warm toned (paint wise) shirt featuring an image of a penny, a rose and a game of tic tac toe. 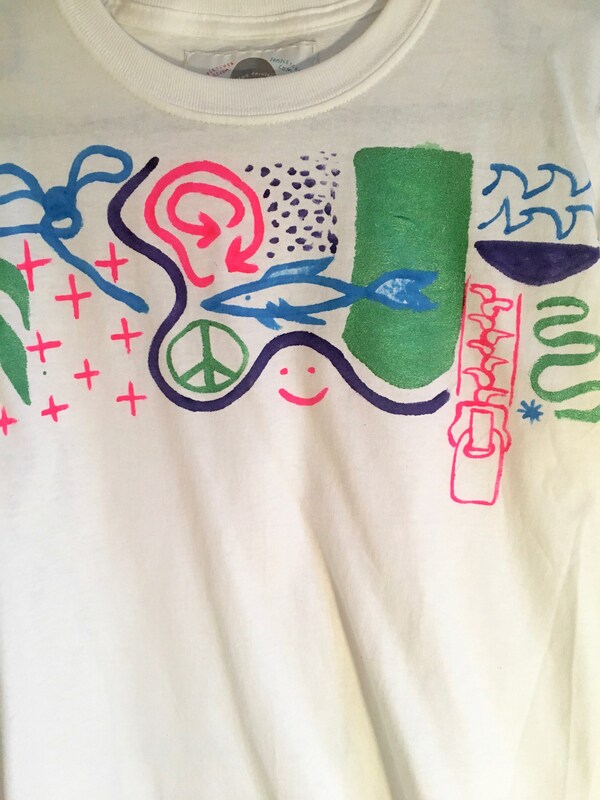 The second is a more cool toned shirt featuring an image of a fish, a peace sign and a bow.